In French, maître is the word for teacher but it is also the word for shipmaster. Jesùs Guillermo Mariotto, since the latter half of the 90's, sailed fearlessly and with succes the lively and tricky waters of the fashion world on his boat: Maison Gattinoni. 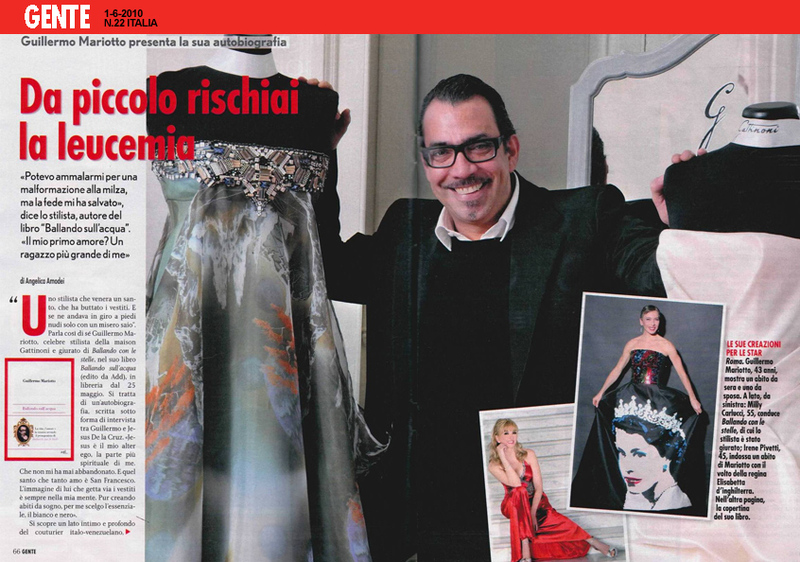 In 2005 his wish to find a new way to live, to evolve, to reach a higher level, pushed Mariotto in taking part of one of Italy's cult Tv shows "Ballando con le Stelle". Because those who create fashion today not only express themselfs through clothing but through magic, dance, art, and novels too." 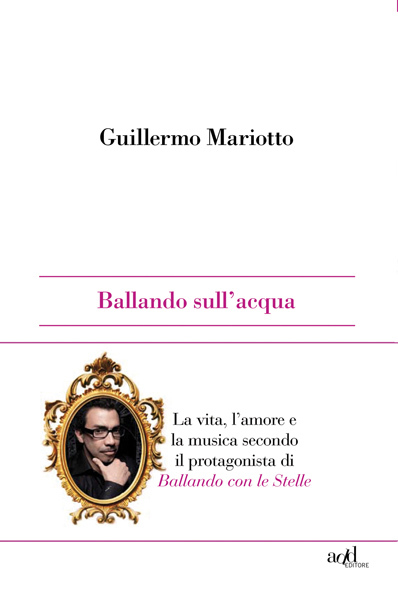 This is how "Ballando sull'Acqua" (written by Guillermo Mariotto) was born: ..."this book comes from water" he says "and in water I completely identify myself. Maybe because I feel like it, free and versatile...water is life. We are made of water, we need water." A book in which Jesus is Guillermo and Guillermo is Jesus. They contain each other, they define each other, they take care of each other. They are the two sides of the same coin, called Mariotto. The only way to communicate is to let them talk, freely, as they always have been.